Kyriakos Papadopoulos was born in Athens on August 18th,in 1971. He realized early, his love and passion for music and became his life’s dream. 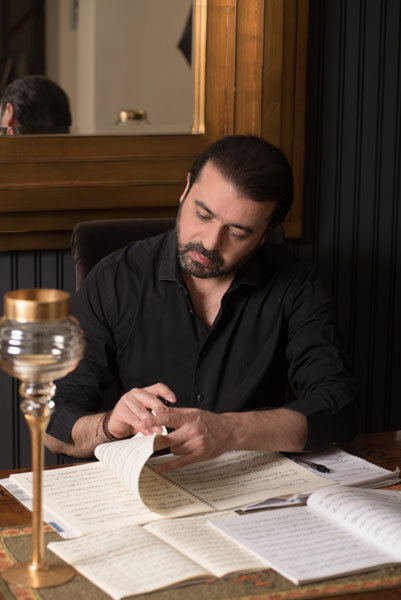 Kyriakos started taking music lessons from the age of 9 and continued his studies on film scoring and composition.In 1988 he started working as a musician. Many of his songs have been addapted and have become big hits! In Turkey performed by Ferhat Gocer, Ozcan Deniz, Murat Basaran, Gulben Ergen, Goknur Onour. In Israel performed by Eyal Golan, Sarit Hadat. In Bulgaria performed by Toni Storaro,Theodora. Between 1995 and 2009 he has realeased over 500 songs. He has been awarded over 50 times with gold and platinum cds. His talent and popularity did not go unnoticed by the advertisers.In 2001 his music was heard in an ad of a beer named “alpha”. In 2008 he composed the soundtrack for the serial “Mavra mesanyxta”which also became a hit. Until now in his career, what his talent has displayed are his rich melodies which come deeply inside from his soul but also the differences in his sounds,rythems and the arrangement of his songs. After 15 years in discography,many songs,ads,soundtrack and many awards Kyriakos is still at the beginning!